What can you expect to hear at Trump's rally at Hertz Arena? President Trump is on a week-long push ahead of the mid-term election, and he's holding rallies in several states between now and Election Day, including one in Southwest Florida. 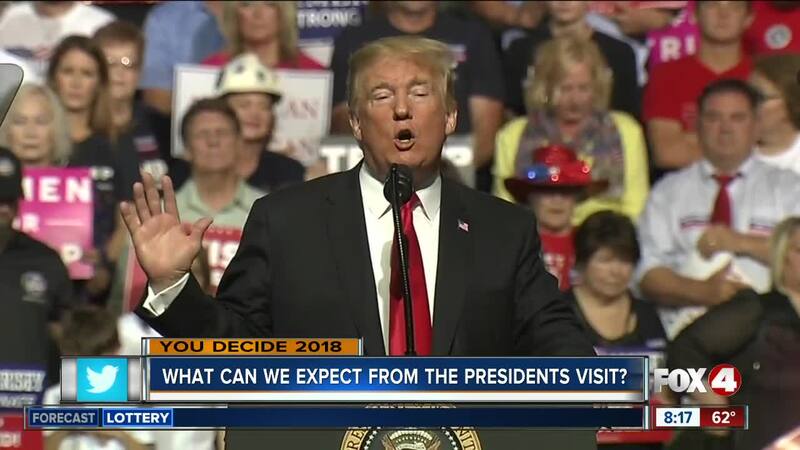 LEE COUNTY, Fla. -- President Trump is on a week-long push ahead of the mid-term election, and he's holding rallies in several states between now and Election Day, including one in Southwest Florida. 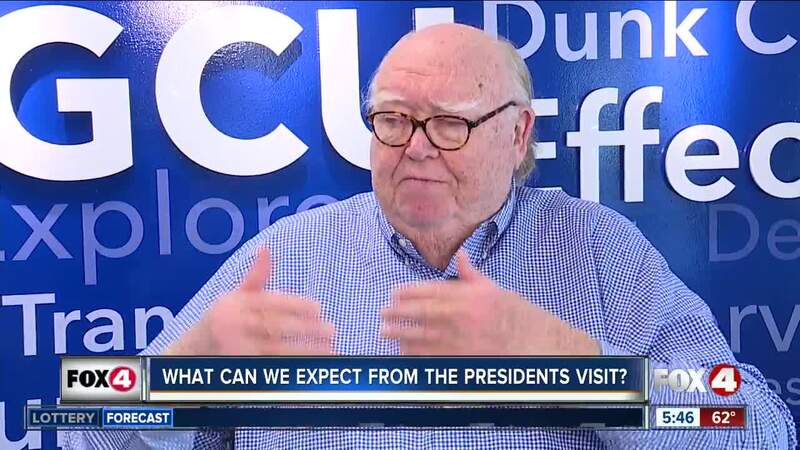 Fox 4 sat down with our political analyst, Florida Gulf Coast University professor, Dr. Peter Bergerson, and asked him, why Southwest Florida…why now? And when the President came here during the campaign in 2016, we saw an enthusiastic crowd and an energized candidate. There will probably be more of that, but Dr. Bergerson says we may also see something slightly different.